It’s one of those weeks where so little in rugby is happening, like, really happening, that most observers could be forgiven for checking out the highlights from the previous weekend to make sure all is right with the world, then taking a bit of time off the beer and getting back up to date with other current affairs. New Zealand’s stuff website’s sports page’s only rugby union headline is Scott Robertson’s looming announcement of the Crusaders squad for next year’s Super Rugby, while the top story in the rugby section is the rather NZ Exiles/Possibles nature of Robbie Deans’ Barbarians squad to face the All Blacks on Saturday. The match, ostensibly a money-spinning warm-up for the ABs, has been given some interesting twists in this regard. Steve Hansen told Julian Savea to have a ‘big off-season’ after leaving him out of the touring squad, but Savea has an instant chance to finish with a ‘big on-season’ against those occupying his All Black jersey. Vince Aso and Luke Whitelock are others with claims to stake. 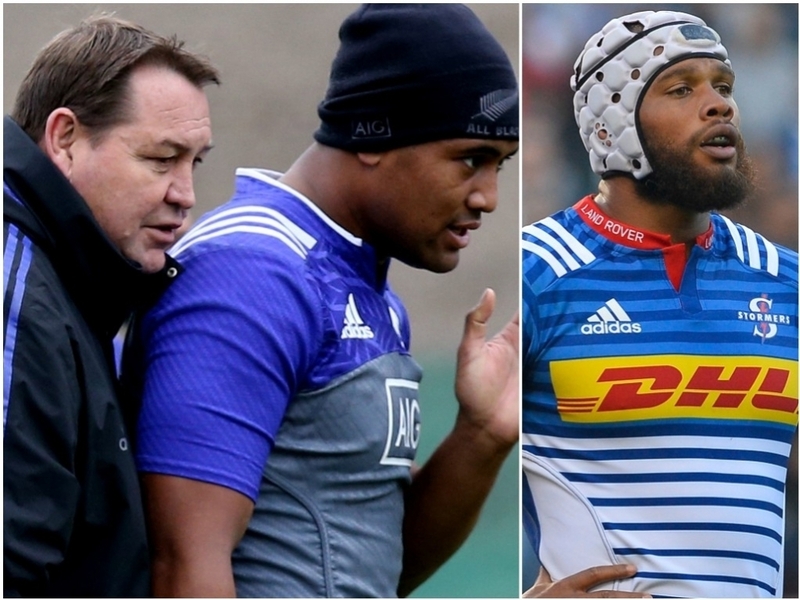 In South Africa, the usual rumbles of discontent have been echoing around Allister Coetzee’s touring squad announcement, most of them surrounding the omission of back-row Nizaam Carr. Carr has been one of Western Province’s standout performers curing their Currie Cup run, but little reason has been so far given for his omission – his response to which was to join Wasps for the South African off-season (such as it is with two teams in the PRO14). There may yet be a reprieve for Carr after the confirmation of the fracture to Jean-Luc du Preez’s ankle, and it’s tough to believe that Carr is not partly UK-bound so as to be available at the drop of a hat should any other warriors fall in November. But otherwise the usual frenzied optimism or pessimism surrounding the Bok squad has been strangely muted. England and Wales are going to have an all-in set piece training session together in Bristol in six days’ time, one of the more curious initiatives from the ever-experimental Eddie Jones. “It will be exactly what we need because you improve by scrummaging against sides that are better than us: you cannot get better doing it against each other,” he said, while Wales have not offered many soundbites but have insisted that Nigel Owens referee the session rather than Wayne Barnes. Most of Jones’ other lines were dedicated to New Zealand and how to beat them – it’s now pretty clear in which direction England’s strategy lies ahead of 2019. Defeats may pop up along the way, but come next November, England’s squad will have been comprehensively mentally conditioned to believe that having the complete game-set to beat the All Blacks in 2018 will equate to an ability thereafter – and before, really – to beat anyone and everyone as well. It’s a strategy not uncommon in business circles. As for the Welsh, a period of uncertainty beckons. The November squad was noticeable for several omissions of the ‘old guard’ such as Jamie Roberts and Luke Charteris, while Warren Gatland and Rob Howley are both now confirmed as leaving the principality in the wake of 2019. There’s a talented crop of young players coming through who now have two years to cut it at senior level, but there’s a definite unsettled air around parts of the squad at the moment. November will be an interesting month in Cardiff.